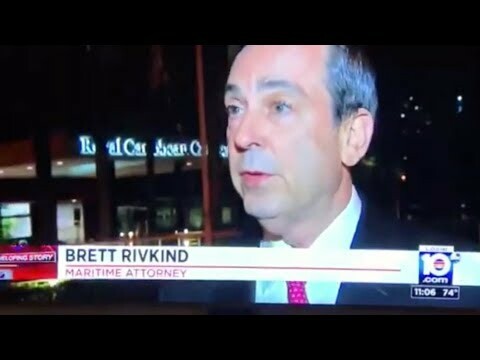 Contact Key West Cruise Ship Accident Lawyer Rivkind Margulies & Rivkind P.A. Our Miami shoreside excursion accident attorneys at Rivkind Margulies & Rivkind P.A. have vast experience dealing with accidents occurring on cruise ship sponsored shore excursions. These accidents occur while a cruise ship is visiting various ports of call, which is one of the major attractions of cruising, as the exotic ports entice passengers to pay to go on a cruise. During a cruise vacation, most passengers will usually participate in one or more shore excursion that are offered by the cruise ship company. Zip-lining, scuba diving excursions, rock climbing, snorkeling, hiking, tour boats, climbing through historical ruins, and riding horses are just some of the excursions offered by the cruise ship companies at the various ports. Cruise ship passengers believe that because the different excursions are promoted and sold by the cruise ship company, that the tour must be safe. However, this is not always the case and we have represented, and are currently representing, many victims who have been injured or killed during a cruise-sponsored excursion. Additionally, some of the other accidents we have seen have taken placed during the transportation to and from the excursion on the transportation vehicle or the tender boat. We have seen deadly bus crashes, tender boats sinking and tour boat explosions. 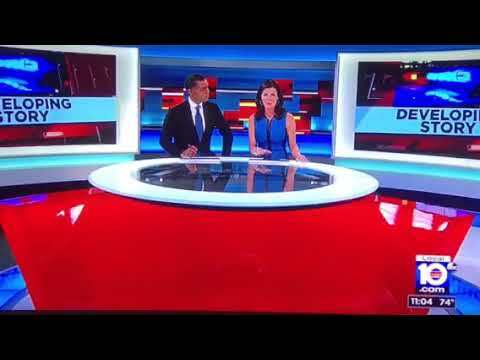 Our Miami shoreside excursion accident attorneys are currently representing cruise ship passengers who were seriously injured when a bus they were being transported on during a shore excursion in New Zealand, veered into oncoming traffic, crashing into another car and plummeting down a steep bank. Discovery in the different cases our cruise ship shore excursion accident lawyers have partaken in has revealed that the cruise lines can make substantial money from the shore side excursions that are promoted to the passengers. However, the cruise ship company includes a provision in their passenger tickets saying that these shore side excursion companies are independent contractors, and therefore, the cruise lines decline liability for their negligence. Since the shore side excursions are mainly in foreign countries, it is difficult, if not impossible, for a United States passenger to get jurisdiction over a shore excursion company here in the United States in order to sue them for their negligence, assuming that the shore excursion company has insurance to cover such claims or is otherwise a company with enough assets to pay a judgment. What Recourses do Cruise Ship Passengers Who are Hurt on a Shore Excursion Have? The law of the United States has recognized the shore side excursion companies as independent contractors, and therefore it is necessary that alternative theories of liability be asserted against a cruise line company when trying to sue for an accident that happens during one of the shore excursions. Our experienced Miami shoreside excursion accident attorneys will be able to explore alternative theories of liability other than simply alleging vicarious liability on the part of the cruise ship company for the negligent acts of the shore side excursion operator. What Precautions Should Passengers Take Before Signing up for a Shore Excursion? If you are considering traveling on a cruise ship and signing up for the shoreside excursions, you should ask the cruise ship company questions regarding their knowledge of the shore excursion operator, and ask whether these shore excursion operators are insured and licensed for the type of services they are providing. In addition, you should research any prior experience other passengers have had with these companies. You should obtain direct representations from someone at the cruise ship company as to what, if anything, the cruise ship company has done to look into the safety of these companies, including how well the shore excursion operators/employees are trained. There are instances where the cruise ship company procures insurance coverage for liability for accidents that happen during shore excursions, and this possibility should also be explored. As always, a passenger should hold on to their passenger ticket, and carefully consult all the terms and conditions, including those contained in small print. It is important to hold the cruise lines accountable so they think harder before sending passengers to excursions with dangers, risking the safety and lives of their passengers. For more information regarding any potential claims you may have, please feel free to contact our Miami shoreside excursion accident attorneys at Rivkind Margulies & Rivkind P.A., for a free consultation. Are Cruise Ships Liable if Something Goes Wrong During an Excursion?